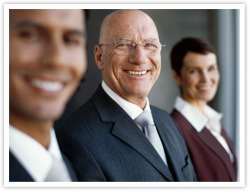 At G&S, we understand management packages are not always a "one-size" fits all deal. That is why we offer two specific types of packages, in addition to ala carte` services for those communities looking for a little extra help managing the daily paperwork, phone calls, collection notices, and even payment processing, without having a full time community manager. We know and value those communities that are self managed and have wonderful volunteer leaders that are, preparing the budgets, collecting payments, balancing the bank accounts, tracking architectural violations, handling the collection notices for delinquent owners and doing so much more. We applaud your dedication and want you to know, we are here to help you continue to mange those tasks so that you can put some extra time back into your day. Many Communities opt for a full service management package to handle the day-to-day business of running the community. With a staff of people here at G&S, supporting the board of directors, you can be sure your community will run like a well oiled machine. Time is precious. Forward thinking and efficiency is our specialty, and we utilize every avenue to insure your time is never wasted. Meeting facilitation services and attendance. Routine community inspections in order to correct or prevent CC&R violations. Vendor liaison between the Board of Directors and any vendor contracted by the board. Initiate community website or website enhancement (if applicable) and insure board members and owners are given proper notification and working knowledge of the features and the benefits. Work with title companies and real estate agents during owner transition processes. Provide new owners community welcome packets with all pertinent information regarding the community and its operations. Provide Board of Directors an annual report of maintenance requests as a tool for evaluating the current preventative and emergency maintenance plans. Work with the Board of Directors and the Accounting department to prepare a realistic annual budget. Provide the Board of Directors an in depth monthly financial report. Provide the community and board of directors with several secure payment processing options. Reconcile Community Association bank accounts every month. Board of Directors are provided online access to view and monitor cash flow throughout the month in order to prepare for upcoming meeting topics. Delinquency reports are processed on a monthly basis and notices sent to delinquent owners in accordance with community documents. The Board of Directors are provided copies of delinquent reports and a listing of those owners receiving notices. Interact with legal counsel on a constant basis in order to resolve liens, fines, court appearances and all other legal matters necessary. Assist with the annual audit to insure all documents have been provided in a timely manner. Assist with the preparation of the annual tax return to insure all documents have been provided as expected. Maintain the associations records and provide Auditors and board members with digital copies annually. Process and distribute (if applicable) pool passes, parking passes and all other miscellaneous documents to allow for allowance within a designated community area. Provide each community upon transition a full budget analysis. Process payments for all board approved expenditures, including vendor payments for community projects and emergency work. 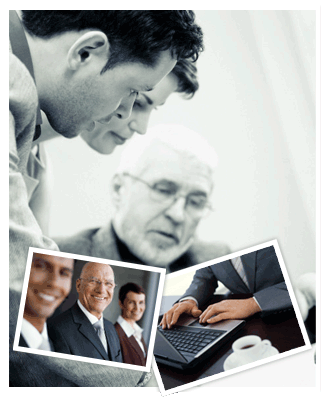 Provide the Board of Directors with monthly cash disbursement reports. We provide community websites that are fully integrated with the G&S software package, allowing homeowners to view up to 12 months of personal account history. G&S provides enhancements to those communities that already have websites that will allow homeowners to view up to 12 months of accounting history. **Every document and piece of community correspondence that G&S provides is done through a proven economically efficient paperless process. Our streamlined processes will save your community valuable time and money each year. Additional services are available based on the needs of each community. In addition, every service listed above can be utilized alone to enhance your current processes or all together as a management package that fits your community specifically.